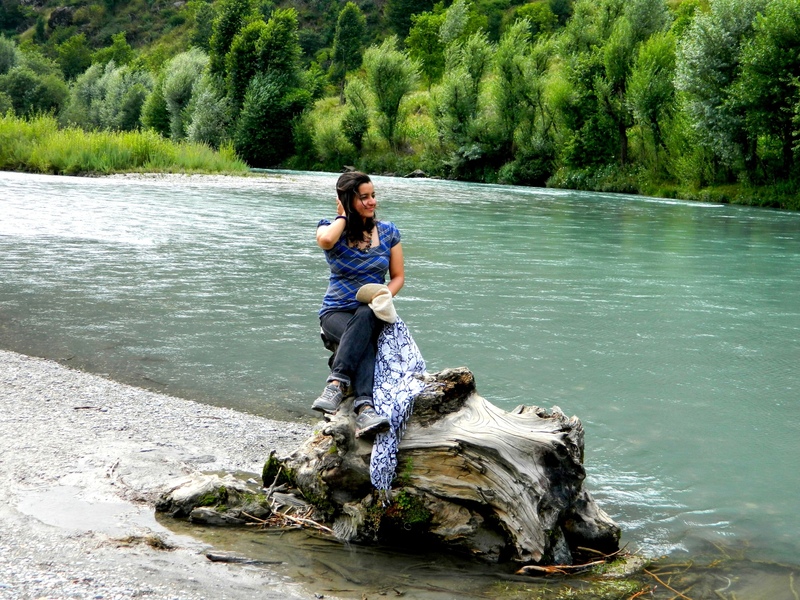 Pahalgam, this nature’s abode is situated at a distance of ~96kms from Srinagar. 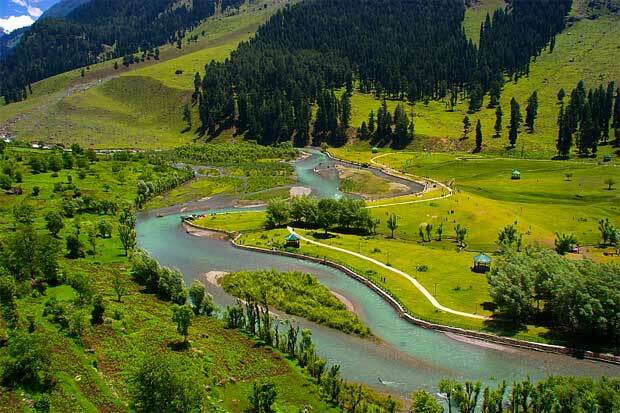 Pahalgam has a lot more to it than beautiful resorts, serene view from window and Switzerland point (every tourist spot has this Switzerland point claimed to give you the best feel of the place)!!! And before you know it, you are surrounded by the bhaiyas with horses ready to take you to that point. 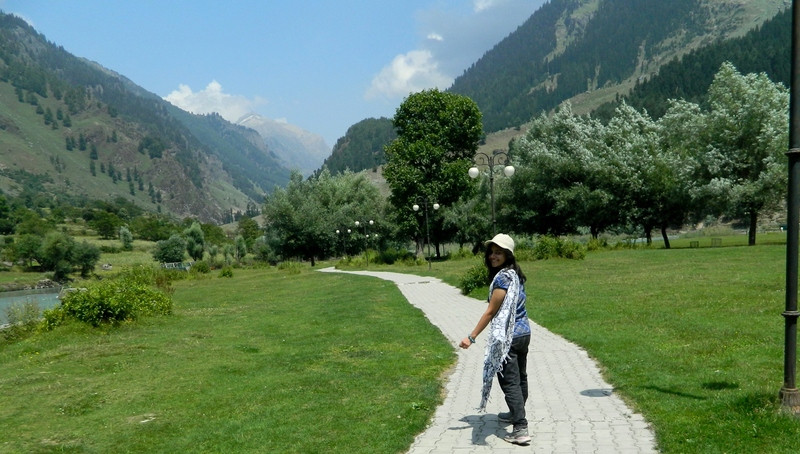 Anyways this write-up is dedicated to this fascinating and spellbinding place called ‘Betaab Valley’ 🙂 It is as wonderful as it sounds. This ride was part of our 5 days trip to Srinagar in August 2012. We discovered lot of beautiful gardens and interesting points, took beautiful shots, rested a bit & kept on moving. We touched Pahalgam in about 2.5 hours; it was explicit as the place was full of resorts & restaurants (typical tourist spot!!). We just skipped these points (Oh yeah, we stopped at the petrol pump there), kept moving & found some solace (without a lot of tourists around and the bhaiyas with Horses, some relief!!!). It was so freaking hot that day, we both got tans but the water was so chilly that it was difficult to stand bare feet for 20 seconds!!! We spent around an hour chatting, relaxing & continued our bike ride. I mentioned earlier the roads are so amazing; it was long romantic bike ride 🙂 which we wished to continue forever. 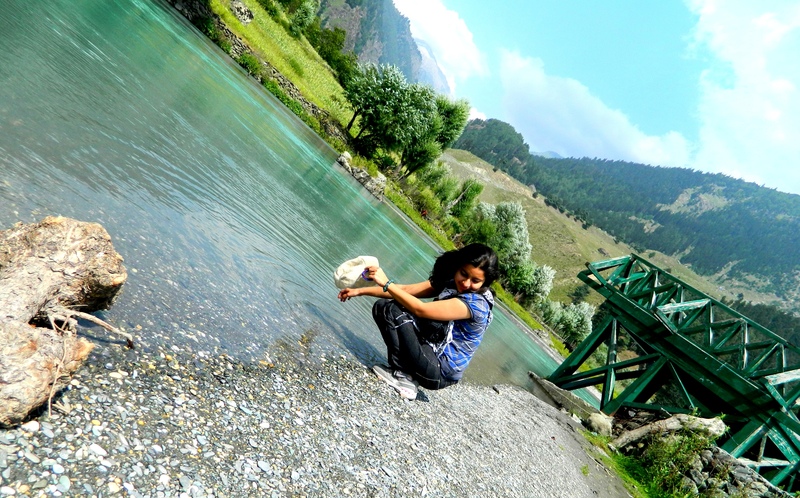 Then we reached the legendary ‘Betaab Valley’, this is quintessential factor to your trip to Pahalgam. The valley got its name from the Sunny Deol-Amrita Singh hit debut film Betaab; since then so many more movies have been shot here including Ranbir Kapoor’s Rockstar!!! But according to us its ‘Betaab’ because it just leaves you craving for more, it’s such an amazing place you cannot satiate yourself in short span of time. We spent almost 2-3 hours at this place, moving around, playing in the crystal clear water, exploring as much as we wanted to, taking brilliant shots and had a small picnic too. Reluctantly we began driving back to Srinagar before it was too dark, it started raining out of nowhere but it was still a lot of fun to be out on the roads in the lap of the nature and great experience which we won’t give away for anything. Awesome photographs…..good storytelling 🙂 Way to go !!! Wow. This is really beautiful! Where did you stay? 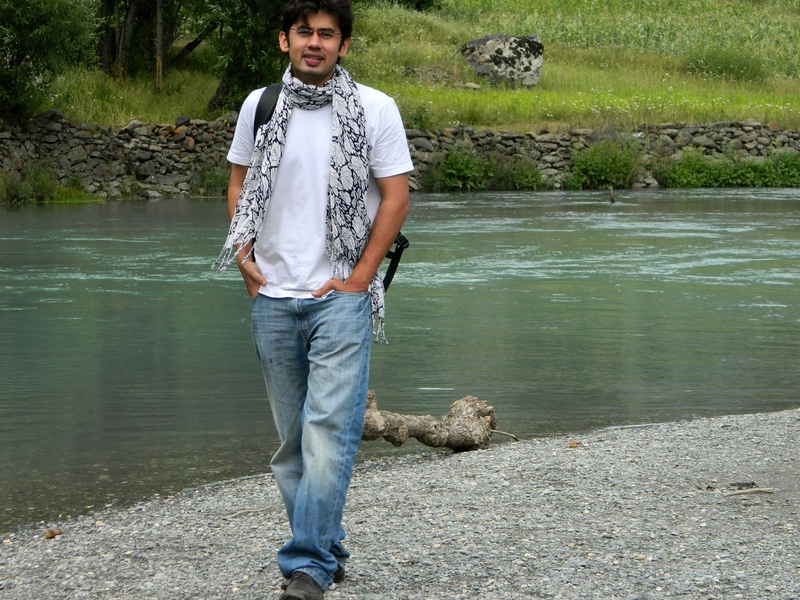 I agree most of Srinagar has become too touristy. When I got married, we stayed in Srinagar for two years but had a old point and shoot Kodak camera with film roll… My pics are enveloped in an old album which I occasionally go through. Your account made me relive those days..
Hi Shoma, I’m so glad it did 🙂 Yeah I remember Kodak cameras (My mom used it) but have never got to use them. Awesome photographs.. you guys must have had great time there..
Beautiful captures of the nature’s serene beauty there! Very well described POST with Photos. Great pix and great writeup!